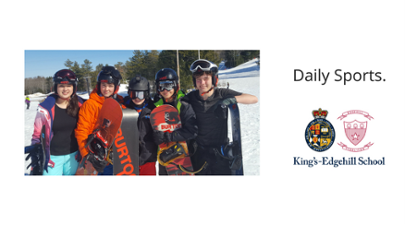 The Atlantic Canadian Independent School Basketball Tournament was held in Halifax last weekend, and King’s-Edgehill was represented by four teams over several divisions. 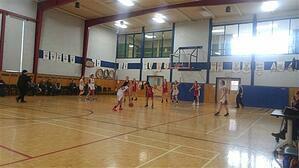 The Senior Girls stunned the tournament participants with a semi-final win over Halifax Grammar School. They eventually finished 2nd to Sacred Heart after a competitive final. 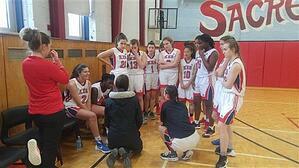 Rayannah Hwang, Sarah Lynch, Miranda Watson and Maddie Smith led the team to victory. Although Maddie Barbour was injured and couldn’t play in Saturday’s games, her role on Friday was crucial to her team. Our Senior Boys' Development team played three games with enthusiasm and camaraderie against tough competition. Although the team finished 6th, they had a chance to compete and represent our School with positive spirit on and off the court. Yujianxuan (Rain) Cui, Kun (Ken) Lee and Peter MacGregor led the way with strong play. Jarred Douglas also played a key role in a leadership capacity as he helped coaches with our younger team. 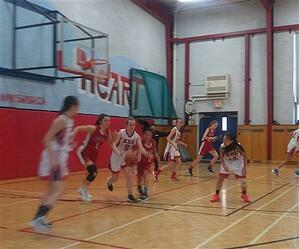 The Junior Girls were competitive in every game and came home with 3rd place. Gala Holmcontinues to lead the team with great offensive skills and a strong defensive presence. The “two Gabby’s”, Gabby Shaw and Gabby Strickey were also key leaders and players in the clutch. The Junior Boys finished the tournament in 2nd place with a 2-2 record. Justin Day led the team in the semi-final with aggressive rebounding and key baskets. Yuk Kan (Lucas) Tam continued to lead the team in scoring, and Kyle Clanachan was the main rebounder, especially controlling the defensive boards. Athletics is one of the four pillars of a King's-Edgehill education, and we offer three seasons of various sports and athletic programmes. Download our Athletics PhotoJournal to discover which of the over 20 different sports options your child will love.